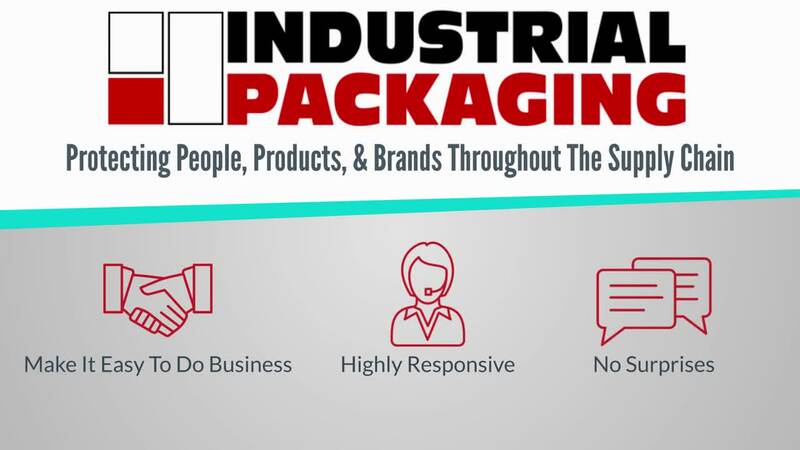 Providing reliability, timeliness, and efficiency to packaging suppliers, manufacturers, and distributors in need of optimal flexible packaging and services. Impact your revenue growth and lower your operating costs with flexible packaging materials, machinery, and parts that Industrial Packaging can source for you. Experience quality technical service to keep your packaging machinery in good working order. Meet all the quality and production requirements of your customers and turn-key contract packaging and fulfillment solutions that can support your supply chain. We want your experience with us to be a positive one. Our Brand Promises are how we deliver that experience. Our team has an honest interest in the success of your business. This means doing business in a way that works for you. We will always respond to your needs within a time frame appropriate for you. We service you based on your requirements in order to eliminate the unexpected. See how we can help increase your packaging efficiencies and reduce your packaging costs!